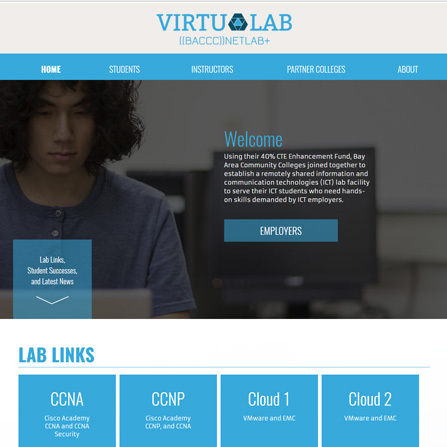 Bay Area Community Colleges joined together to establish a remotely shared information and communication technologies (ICT) lab facility to serve their ICT students who need hands-on skills demanded by ICT employers. 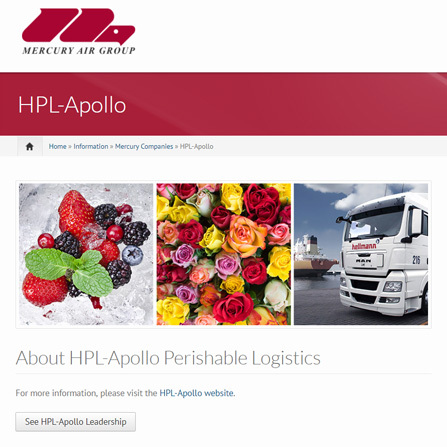 We designed and developed this attractive Drupal website for them and made it easy for them to manage. 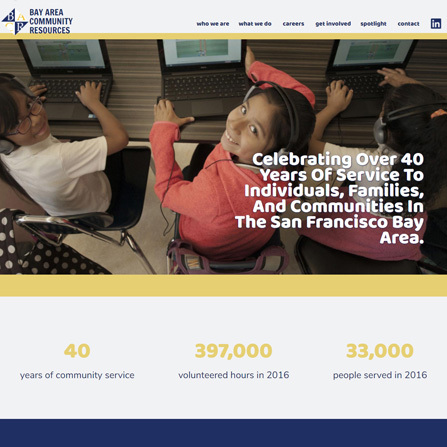 We designed and facilitated the development of this beautiful website for this large non-profit organization which provides service to individual, families, and communities in the San Francisco Bay Area for over forty years. We designed and developed this Drupal website for this global leader in Aviation Service. 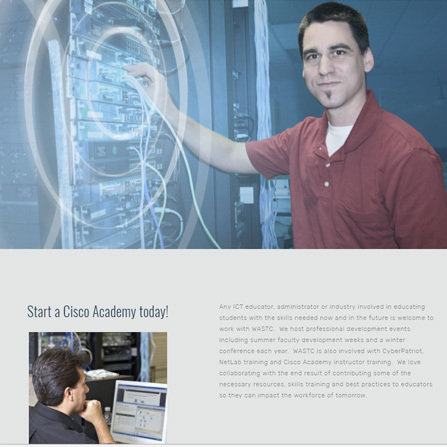 This organization proudly supports Cisco Academies and provides professional development to ICT Educators. We created a SquareSpace website using the Bedford template. 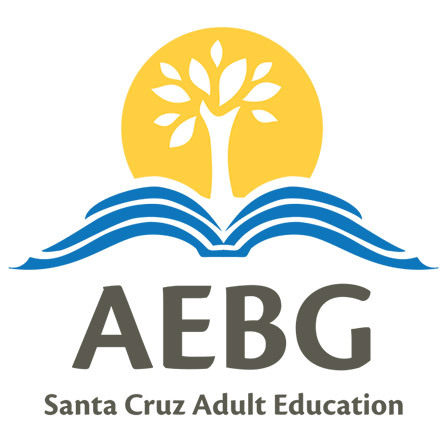 The Adult Education Block Grant is committed to directing grant funds towards creating and cultivating an accessible and enhanced Adult Education learning environment in Santa Cruz County. 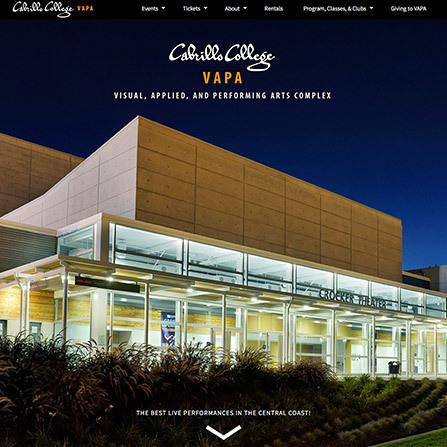 Cabrillo College’s Visual, Applied, and Performing Arts Complex (VAPA Complex) is Santa Cruz County’s premiere venue for arts, entertainment and events. 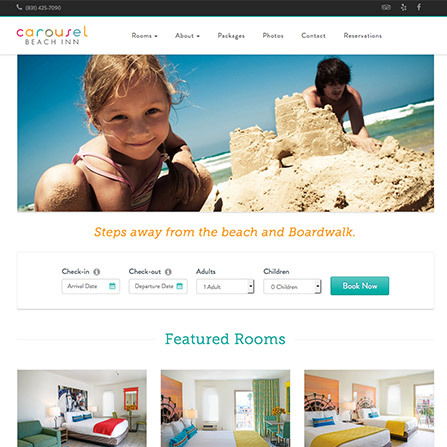 This attractive responsive website is easy for the client to manage. 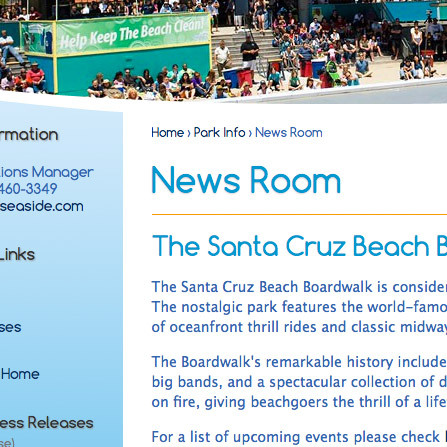 Beautiful Responsive Website for Hotel near the Santa Cruz Beach Boardwalk. 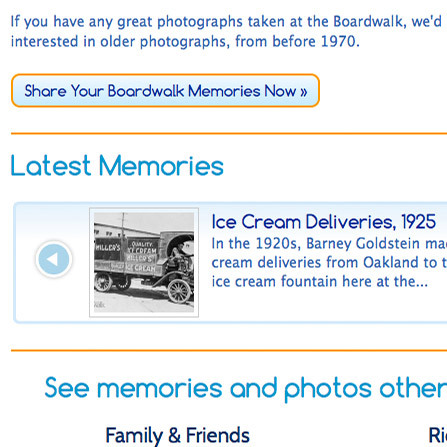 Designed and developed a dynamic website for users to view and share their memories at the world famous Santa Cruz Beach Boardwalk. 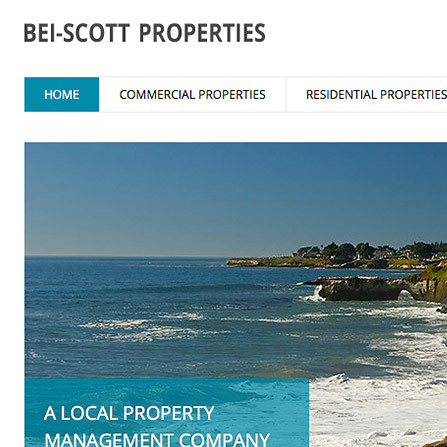 Clean, Attractive, and Responsive Site for a property management company in Santa Cruz.